Johor Bahru, 22 July 2017 - Proving once again why they are the reigning leaders in the dairy foodservices segment, Anchor Food Professionals has launched an exciting campaign with their partners, and this time with the creation that Malaysians can't resist - Pizza! Celebrating pizza in all its shapes and sizes, the new campaign called "PizzArt" takes the enjoyment of pizza a notch up into an art form. Whether you're a hard-core foodie or a discerning gourmand, these pizzas will deliver. Together with 24 outlets in Peninsula and East Malaysia, Anchor Food Professionals will be introducing artisanal pizzas that are taking the world by storm. Masterpieces such as Flower Pizzas, Pizza Bombs, Adjaruli Khachapuri, Mini Muffin Pizzas and Pot Pie Pizzas are waiting to be fevoured at participating restaurants from May to mid November 2017. 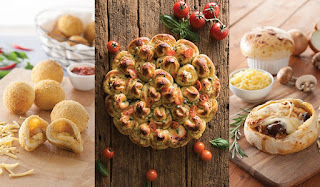 The artisanal pizzas were conceptualized and created by the Anchor Food Professionals' Hot Cooking Chefs as a way to help their partners create more excitement and variety in what they offer to their customers. The pizzas can only be made by kitchen crew with advanced culinary skills, and in restaurants with pizza ovens. Chefs and assistants from participating restaurants were trained in the ways of a skilled pizzaiolo by Anchor Food Professional in preparation for the launch of the campaign. Through workshops they were taught specialized skills to create unusual pizzas such as the avant-garde Pizza Flower. The recipes call for only the finest ingredients such as Anchor Mozarella Shredded Cheese, Anchor Unsalted Butter, Anchor Colby Cheese, Anchor Cheddar Cheese and Mainland Edam Cheese. In Malaysia, the Anchor brand is already a leader in the dairy segment. When you dine in a restaurant, a hotel, or a quick service restaurant (QSR), chances are you are already having a taste of Fonterra's dairy products through Anchor. Speaking at the unveiling of the PizzArt campaign in Kuala Lumpur, Ms Linda Tan, Director of Anchor Food Professionals Malaysia said that the new campaign will strike a chord with pizza-loving Malaysians. “Malaysians are increasingly leading busier lifestyles and are grabbing food on the go or dining out. Our insights show us that Malaysians generally love pizzas. We wanted to excite them further by taking the enjoyment of pizza a level up by introducing extraordinary, gourmet pizzas that are taking the world by storm. If you love pizzas, then this is a must try,” Ms Tan said. She added that this is an example of innovative campaigns that Anchor Food Professionals has launched with their partners such as the highly successful Say Cheese Campaign which introduced Japanese-inspired cheese based desserts, and the second wave which introduced sweet breads infused with creams and cheese. The more recent French-inspired Travel Cakes (butter loaf cakes) made available at participating bakeries ended on a sweet note as well. “We are continuously finding ways to help our partners stay ahead of the curve by introducing global trends and unique creations to their consumers using only the best dairy by Anchor. By drawing on our New Zealand based research and expertise, we are able to help them achieve a competitive edge,” she added. 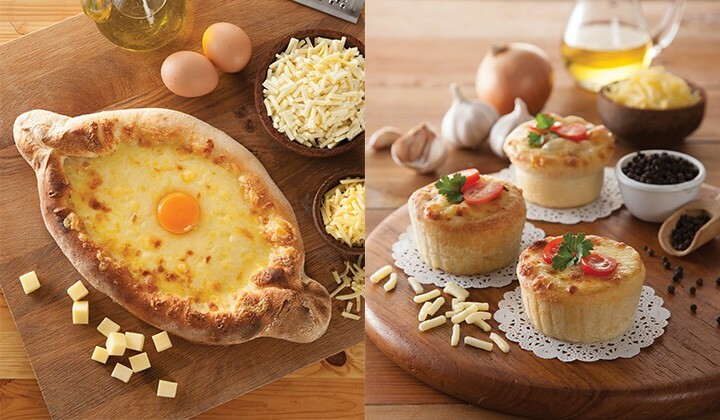 With the new launch of PizzArt, Anchor Food Professional hopes to trail blaze a ‘new age’ of pizzas in Malaysia. Pizza bombs which made an appearance in the international food scene is an explosion of flavour and cheesiness in a ball of chewy dough with a crispy crust. Adjaruli Khachapuri is a boat shaped pizza filled with hot cheese and oozing egg and is a Georgian invention, all the rage in food capitals of the world. Muffin pizzas are bite-sized versions of delicious pizza and perfect for breakfast and as snacks and pot pie pizzas are as hearty and satisfying as they sound with pizza dough used as a pie crust with all the flavours and stringy cheesiness of a pizza steaming inside. 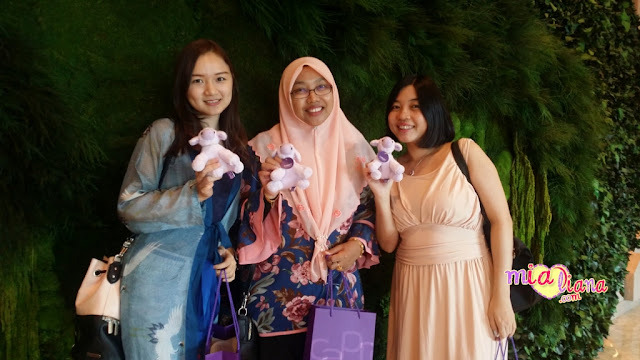 Consumers can also look forward to participating in some fun contests on Anchor’s Facebook @AnchorDairyMalaysia in the month of July to win exciting prizes. The artisanal pizzas will be available at Movida and U Pizzeria in Klang Valley, Movida and U Pizzeria in Perak, US Pizza and Lunarich in Penang, Sky Garden in Kedah, Movida in Melaka and Johor, Ejohng Concept in Johor, The Chub’s Grill and Mad Ben in Sabah and Chillax, Coup De Grill and Bistecca in Sarawak from May to mid-November 2017. The recently rebranded Anchor Food Professionals reflects the way the food service team are now doing business, acting as true consultants, working behind the scenes to deliver exciting new tastes and products for the chefs, bakers, caterers, commercial kitchens, hotels, restaurants, quick service restaurants and cafes. The team will help businesses with all aspects of their operations, from front-of-house presentation, and pricing and promotion, to enhancing yield and taste and delivering exciting new menu options. By getting to know their customers's businesses, Anchor Food Professionals is using this knowledge and optimizing dairy ingredients using Fonterra's world leading research and development capability to meet the specific needs of chefs, bakers, and restaurant owners.